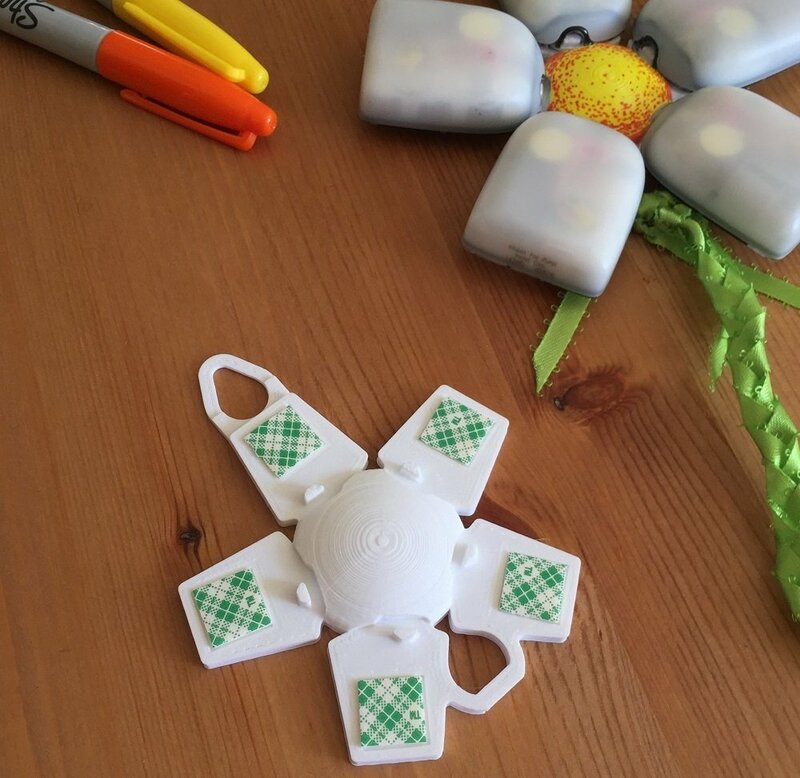 This is the Omni Flower 5, discarded OmniPods easily adhere to the peel & stick 3M adhesive patches to showcase them in a fun flower design. It has an integrated hidden wall hanger and a lower tread/ribbon loop (to simulate a stem). Customize with permanent markers or paint for a unique piece of wall art. A great activity for the kids and a great way to reuse decorated or sentimental pods! 3D printed in white eco-friendly thermoplastic, Has a prototype texture. Allow 1-3 days before shipment.